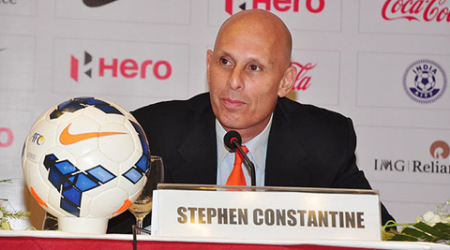 Stephen Constantine's Team India will be preparing themselves in Mumbai for their upcoming crucial AFC Asian Cup Qualifiers 2019 which kick-starts from 28th March 2017. Forwards Jeje Lelkephlua, Sumeet Passi, Sunil Chhetri, Daniel Lalhimpuia, Robin Singh. As a part of their preparation The Blue Tigers will also travel to Phnom Penh where they will face Cambodia in an International Friendly on 22nd March 2017. India will face Myanmar away in their first group stage match of the AFC Asian Cup Qualifiers UAE 2019.